As engineers, you often come across reports and projects on service aging, as well as massive cable replacements, especially in old cities. 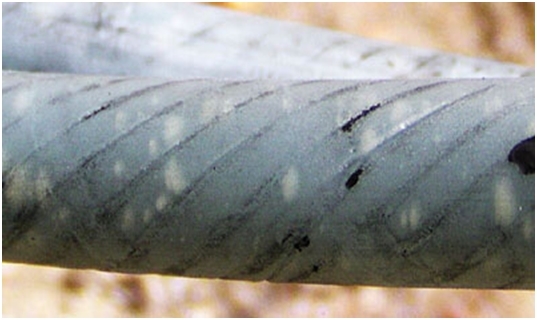 Medium voltage cables are in extensive use in almost all facets of electricity. Over the years, changing manufacturing methods, installation techniques and skills have changed. Engineers find themselves challenged with ensuring that the cables remain functional. This is only possible through testing. The task hence is to determine the service life of the cables. A regular MV cable is expected to service age after 5 years of service. This duration, however, only applies for correctly installed, and cables used in the right conditions. After 5 years, though the cable indicated little signs of deterioration, assessment measures are necessary for optimal and continual service. The assessment measures usually include quantifying the severity of electrical stresses, wear and tear, as well as chances of failure. As with other electrical components, cables require thorough assessment to determine longevity. This allows the . manufacturers usually provide a projected life expectancy( 20-30 years of continuous service for MV cables) based on material testing and manufacturing methods. However, it is important to note that these figures are based on optimal operating and environmental conditions, a feat almost impossible to achieve in the field. In real life applications, typical stressors include chemical corrosion, high temperatures, UV radiation, humidity, high moisture content and dirt. These elements greatly undercut the rated life expectancy. That is where regular assessment is necessary. Treeing: chemical modifications that occur along stress points in the presence of moisture. The potential difference causes the water to form microscopic streams in the insulating polymers. This results in a tree-like design under high magnification. The insulator fails to a point where it is susceptible to partial discharging in the presence of voltage surges. Direct damage: in many cases, poor workmanship results to diminished life expectancy. Lack of skills, accidents and improper use of tools can cause bends, nicks cuts, and perforations, thus creating possible failure points. Partial discharge is a localized discharge that results to overheating and degradation of the conductors and insulators. Other results include air ionization due to sparking, thereby resulting in chemical modification. 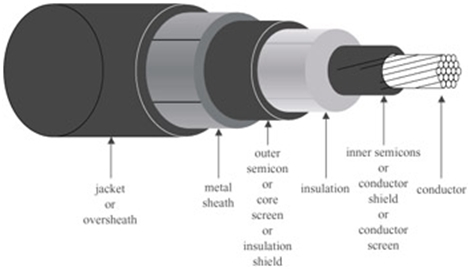 Assesses the feasibility of continual usage of the cable. This initially happens at the factory, where the manufacturer is able to give the useful service life of the cable. The next stage of withstand testing usually occurs during the installation process to ensure that the installation activities do not compromise the cable functionality and lastly, after a significant service life period. Withstand testing is a strictly Go/No-Go test, as the tests implicitly examine whether the cable fails or passes. Considering that the cable is deemed fit for service after passing the test, the assessing voltage should be more than the nominal voltage. However, do note that the tests do not offer the length of the remaining service life. Upon failure, locate the fault section and perform the necessary repair or replacement, followed by a repeated test. These tests assess the age condition of the cable, taking into consideration the service life and operating conditions. Diagnostic methods include testing a number of cable characteristics, then comparing the results with baseline data from manufacturer’s data, new cables and international norms. However, in most cases, the engineer must compromise on the number of tests to perform: an insulation test may miss the presence of localized defects and vice versa. In most cases, combination with the withstand test is necessary, especially for old cables. Diagnostic testing only results to complete cable failure when the cable is severely compromised. Common diagnostic testing methods include direct current, dissipation factor and partial discharge methods. MV cables, especially those located underground, are exposed to a number of detrimental factors, from water exposure, ionized soil and such. Other factors that contribute to reduced service life include manufacturing defects, poor workmanship, and extreme operating and environmental conditions. The engineer is then tasked with ensuring that the cables retain functional integrity through scheduled testing. What did you think about this article? Let’s discuss below! or copy this trackback: http://engineering.electrical-equipment.org/others/service-life-of-an-mv-cable.html/trackback from your own site. Awesome Info.Articles like this truly made my day.5 years is a long duration for warranty commitment.Thank You for this Post. very beneficial information. I have one comment regarding the following statement “regular MV cable is expected to service age after 5 years of service” is there any reference that tell us the service age is 5 years? Please tell me if there is any laboratory in India, where we can send our cable samples for testing and assessment of life expectancy. however, could you please provide the formula which determine the cable lifetime (age) Vs. the cable over loading.